CONNECTED IN BUSINESS AND FRIENDSHIP, THESE TWO TRULY LOVE WHAT THEY HAVE CREATED AT VANCITY ELECTRIC. Cory has been working in the electrical industry since 2001, starting his own company in 2008. Frustrated by the reputation of trades companies and set on providing a better experience for his clients, Cory coined the term “A Fresh Look on Trades” to describe his approach to operating an electrical company. 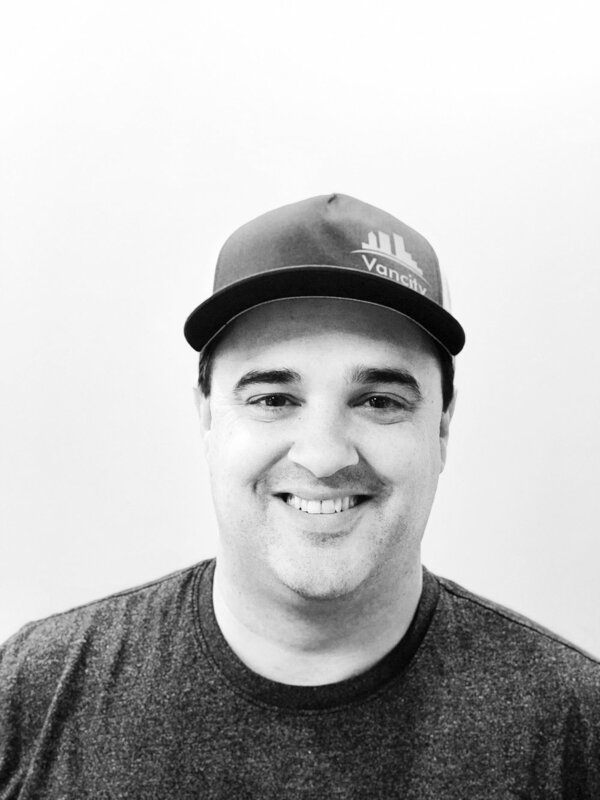 Cory is the lead estimator for Vancity Electric and epitomizes “customer service first”. Cory is very systems driven and prides himself on the various programs and systems in place to support both his team and his clients. Cory also believes in the importance of giving back and has taken on many non-profit initiatives to support his community. His clients appreciate him for his friendly demeanour, his ability to get back to you immediately and his many years of expertise. Outside of electrical, Cory is a family man and the proud father to his son, Linden. Cory enjoys time with his family at Sproat Lake. He takes to the ice weekly to play hockey and he is always up for a chat about the newest device or gadget on the market. Geoff has been working in the electrical industry since 2001, completing his apprenticeship alongside Cory at BCIT. Geoff also owned his own electrical company before joining forces to create Vancity Electric. Geoff is the production coordinator for Vancity Electric. He ensures that our teams and our job sites are organized and efficient. Geoff takes over the project from the sales team and guides the client and the project to completion. Geoff is also the chief financial officer for Vancity Electric, handling budgets, bookkeeping & payroll. Outside of electrical, Geoff enjoys boating with his family and creating memorable experiences with his two children, Katie & Keith.